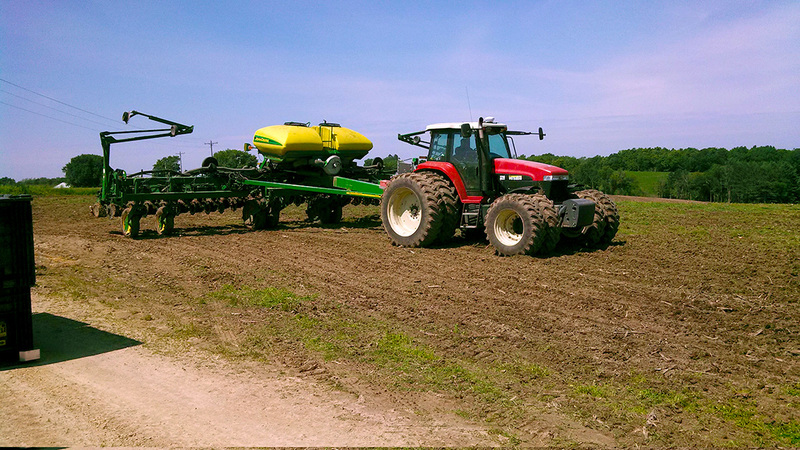 The sun finally made an appearance today, but it is hard to find dry areas to plant – lots of areas are still too wet. 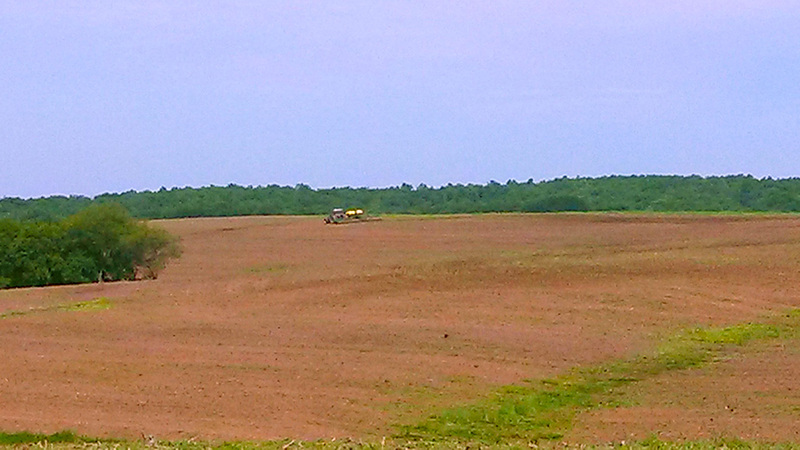 I was able to get into some fields in our western region, though, as our agronomy team worked hard to get things fertilized and planted before it rains again. Check out today’s photos below! 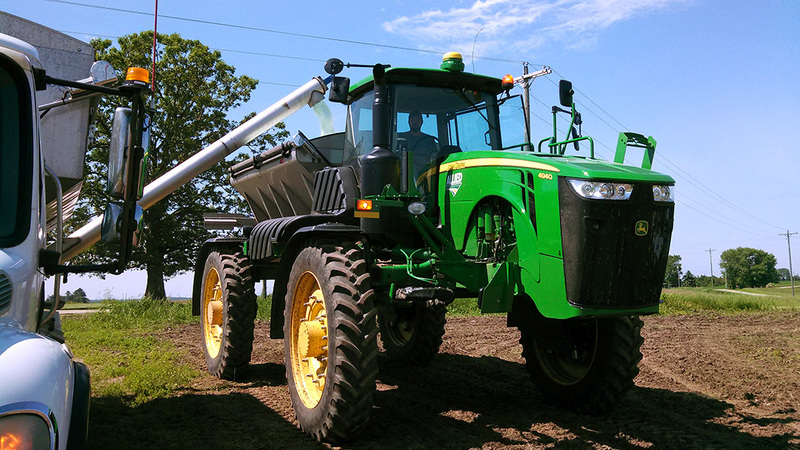 Jordan Olsen spreading urea near Bangor, WI. 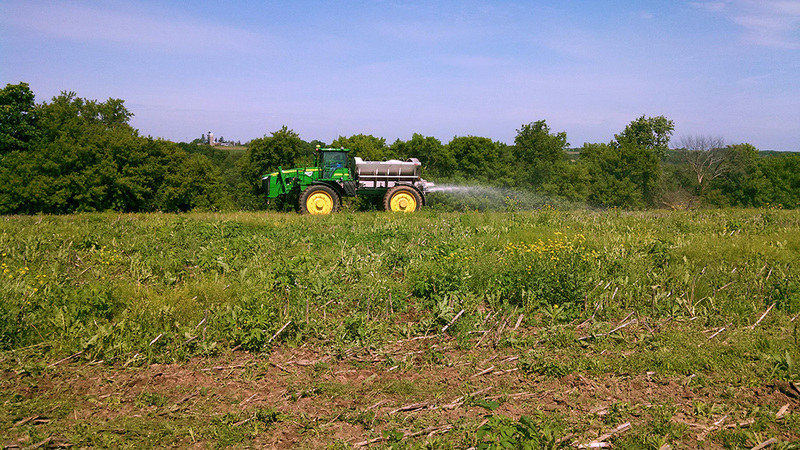 Jordan getting filled up with fertilizer, trying to get as much spread as possible before the next rain. 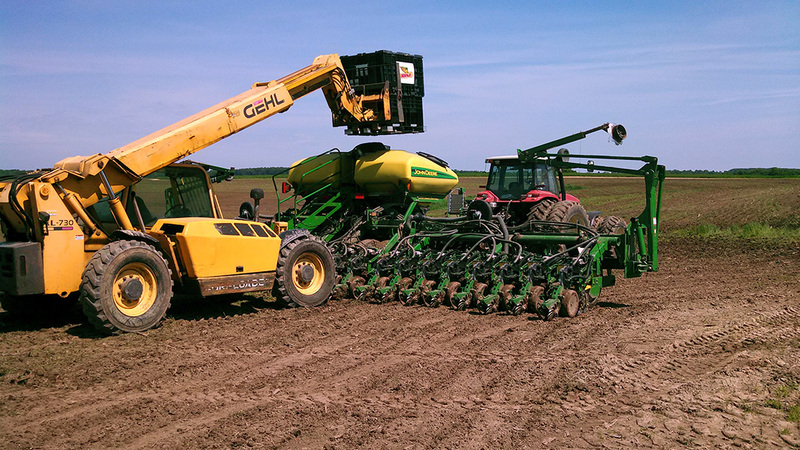 Planting corn for Mlsna Dairy. At Mlsna Dairy — off the the field!